Guanajuato an amazing city registered on the World Heritage list of UNESCO and Holiday Inn Express Guanajuato Hotel is the best choice for Tourists. 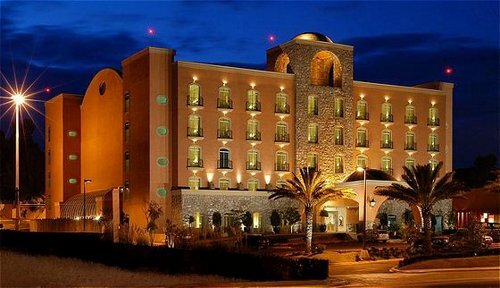 Conveniently located only 3 miles from Downtown and only 18 miles away from Guanajuato International Airport and Fipasi Industrial Park This beautiful hotel offers free high-speed internet access in rooms and wireless in public areas. The Holiday Inn Express Hotel offers 165 beautifully decorated guest rooms, including 6 suites and one handicapped room all equipped with modern amenities.